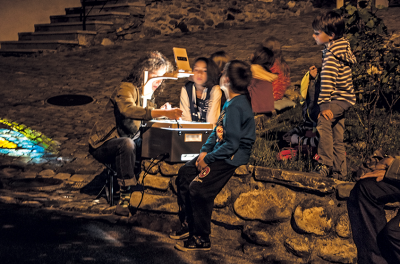 The light artist Nikola Dicke visits people, places and spaces with her rolling workspace, the Graffiti-Mobile. Once arrived, she projects simple outlines, contours and figures as artworks onto walls of houses, in staircases and onto roofs. 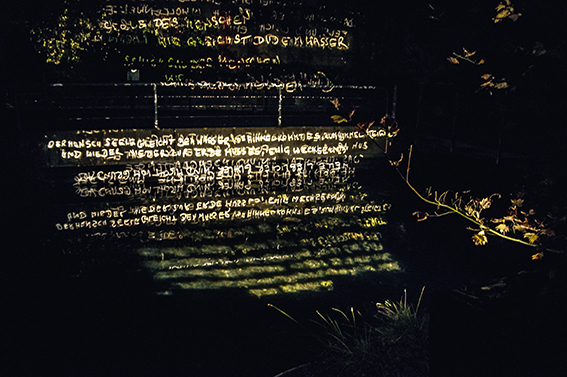 The light installations seem to upturn the known, it attains something strange, unfamiliar, mysterious and secretive. 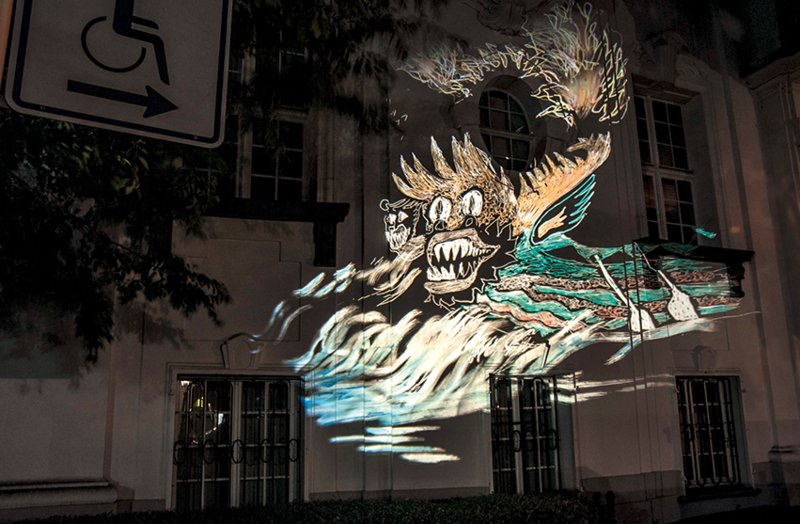 The projected images carve up the context of the real. 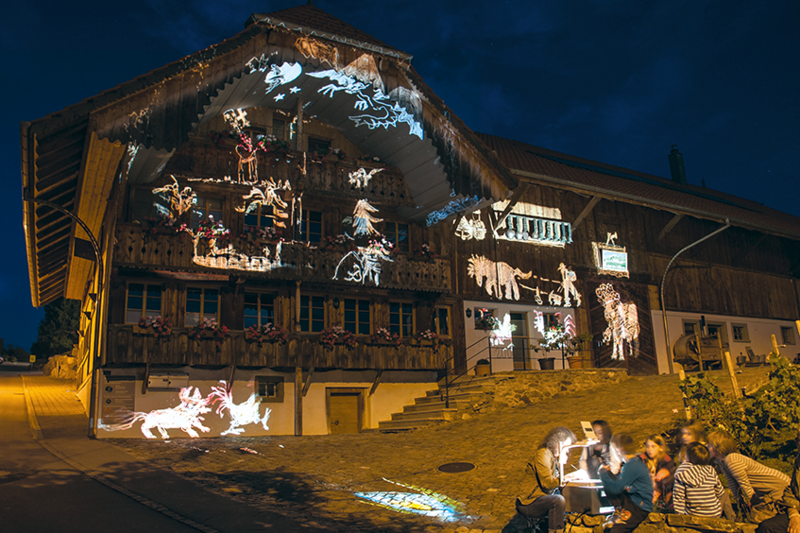 Nikola Dicke‘s light drawings always develop directly on location. She visits people and their houses, their surroundings, their daily life: Encounters in privacy. The seen and heard inspire her to drawn thoughts, which in turn expand into picture stories. In the drawing the artist cites elements of the existing architecture or immerses herself into the atmosphere of a place, tells a story about the people that enliven that place. Nikola Dicke thus seeks out these locations and the people who live and work there. But she doesn‘t leave what she finds alone, but intervenes, conquers, occupies, devises, not permanently as with a public artwork, but as a temporary and participatory project. 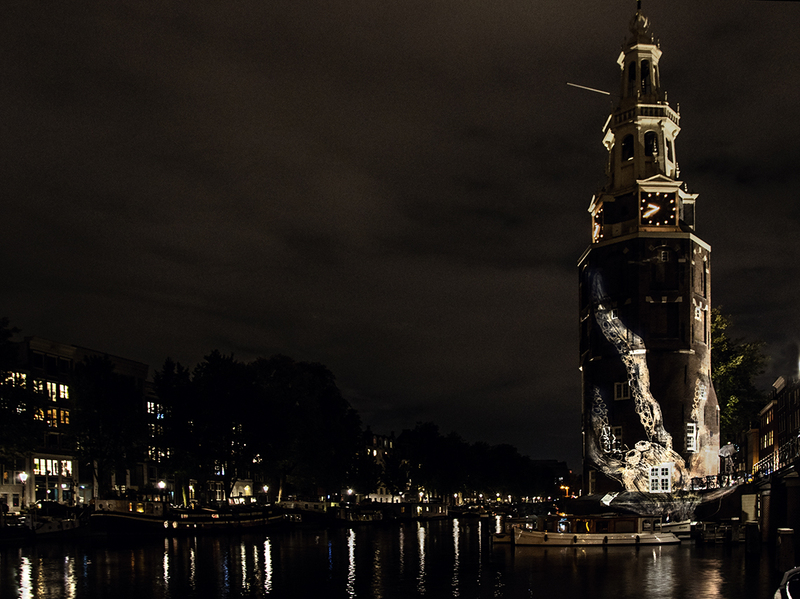 Hence Nikola Dicke‘s Grafitti-Mobile also helps with the production of locality, which gains a quality through the outreach of art, because locality is not a given, but always based on actions, visions, designs or concepts. The artist doesn‘t develop her drawings for the White Cube, but works for a specific context and engages with concrete spatial designs and everyday conditions. The location of her temporary light intervention has a public character. Ultimately Nikola Dicke constitutes a new locality as a product of artistic as much as social practice.